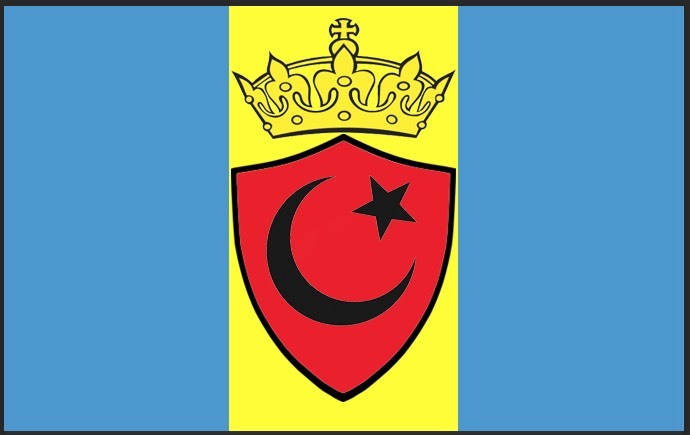 This entry was posted in Uncategorized and tagged Flag, Malakastan by Allen. Bookmark the permalink. I like the idea of creating a country. I was debating on doing the same thing. As for the flag, I think the second flag with the white crown is the better of the two choices. T-14 Armata? Probably not. I’m thinking they are a smaller, less equipped nation in the “…stan” region that is being attacked by ISIS type forces and needs the help of US and coalition forces to save them from being overrun. So, basically it’s just another good excuse for me to run games where the US is fighting Russian and 3rd World hardware. Tom, thanks for the input. I actually ended up going for a crown that is mostly black with a bit of yellow. I totally geeked out and ordered a flag online from Vistaprint and it should be here very soon. I’ll post a photo when it gets here.